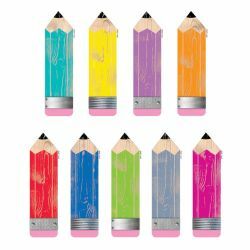 The 6" cut-out size is perfect for accenting bulletin boards, as well as for use in writing centers, writing based projects; art displays; crafts, and classroom organization/labeling. 12 each of 9 designs. Pack of 108.